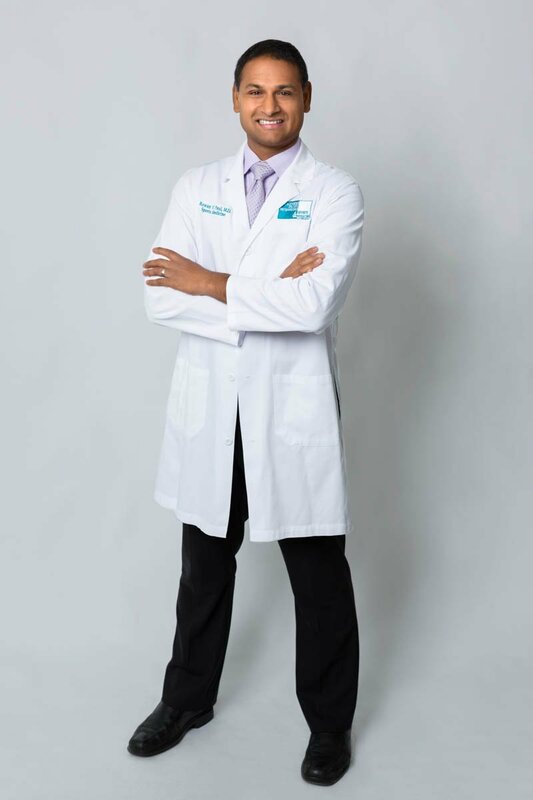 Dr. Rowan Paul is a fellowship trained sports medicine physician and a board certified family physician who treats athletes and active people of all ages. He has treated everyone from recreational to professional athletes, and is currently a team physician for the Oakland Athletics and San Francisco Ballet. In the past, he has covered high profile events such as World Cup speed skating, alpine, snowboarding championships, numerous marathons, and the U.S. Olympic development Nordic cross country skiing team. Dr. Paul specializes in minimally invasive regenerative medicine. He specializes in non-operative treatment of the hip, shoulder, knee, ankle, foot and spine. He performs many high resolution ultrasound guided diagnostic and therapeutic procedures to alleviate pain and promote healing. He is an expert in treating chronic refractory tendon problems, and has successfully treated his patients using innovative treatment options such as Platelet Rich Plasma, Dextrose and specific physical and manual therapies. He has an academic interest in the use of Bone Marrow Aspirates and Mesenchymal Stem Cells for regenerative of tendons, ligaments, cartilage and soft tissue. Dr. Paul also performs ultrasound guided micro-invasive tendon/fascia debridements including but not limited to the achilles, plantar fascia, rotator cuff, patellar and iliopsoas tendons. He also specializes in innovative carpal tunnel, cubital tunnel and occipital nerve hydrodissections, a potential treatment alternative to surgical nerve releases. Dr. Paul has training in exercise prescription, running gait analysis, bicycling performance optimization, diagnosis and treatment of sports hernia (athletic pubalgia) and hip problems such as femoral acetabular impingement. Dr. Paul is also interested in injury prevention, international medicine and is a current regular team member of Operation Rainbow, a non-profit humanitarian orthopedic surgical trip to Central and South America. He has travelled on humanitarian trips as well to Honduras, India, Nepal, and Venezuela. His goal is to have all his patients be physically active so they can live a healthier, more productive life, with a focus on preventive health. Dr. Paul enjoys teaching and is a Clinical Assistant Professor of Dartmouth College Geisel School of Medicine. He also teaches residents and fellows from UCSF and CPMC. Dr. Rowan Paul has presented and published at national sports medicine conferences and journals. He has received numerous awards including the “Top Doctor,” on the innovative health site, Health Tap. On Health Tap, he is a leading Sports Medicine contributor and a founding medical expert. He has also been featured on “Health Radio”, “Women’s Health Daily Site” and “Experience Life Magazine.” He was born and raised in Toronto, Canada, and migrated to America for his undergraduate degree at Brown University, where he was a division one varsity swimmer. He continues to be an active runner, cyclist, triathlete, marathon runner, martial artist, skier, snowboarder, yoga practitioner and outdoorsman.